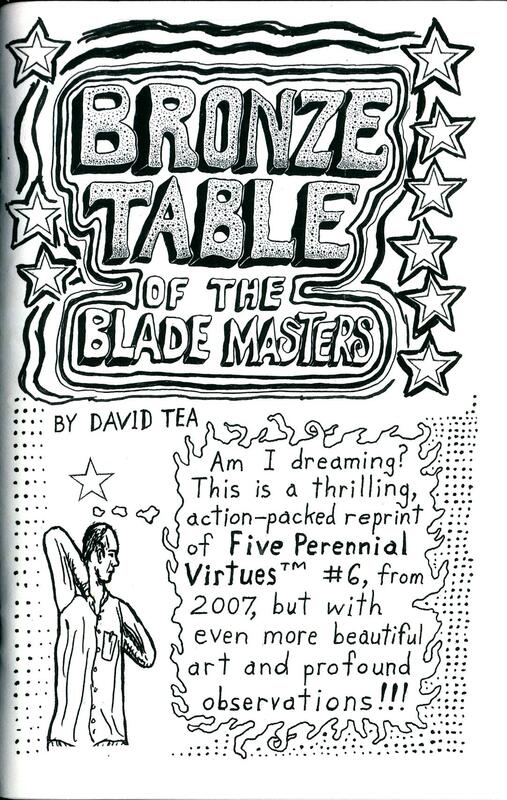 Five Perennial Virtues #6 (Bronze Table of the Blade Masters) by David Tea, $6. Digest size, 78 pages, black and white throughout. Well, we are thrilled to offer more beautiful work by the great David Tea. 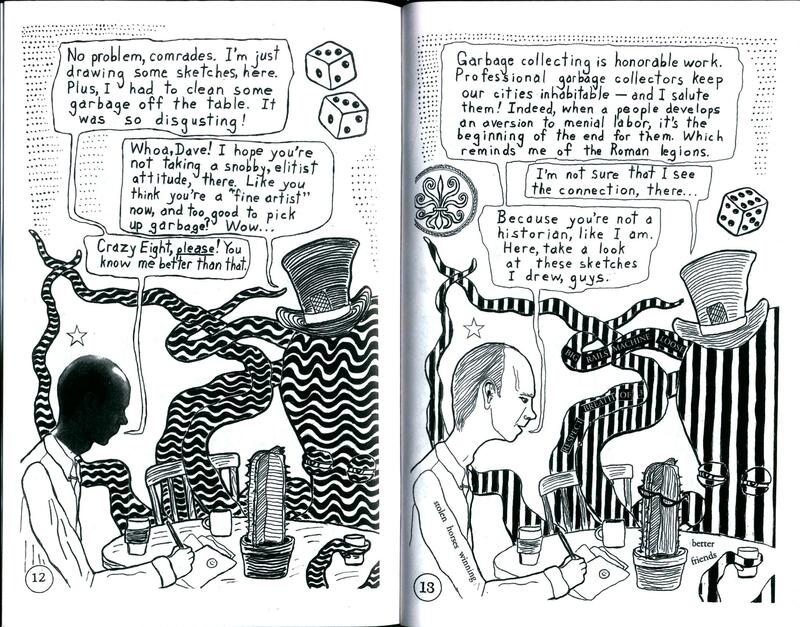 Tea's work is mysterious and hard to find, and it is exactly the kind of comic that Domino was founded to distribute. Tea's work is ambitious, compelling and hard to classify. 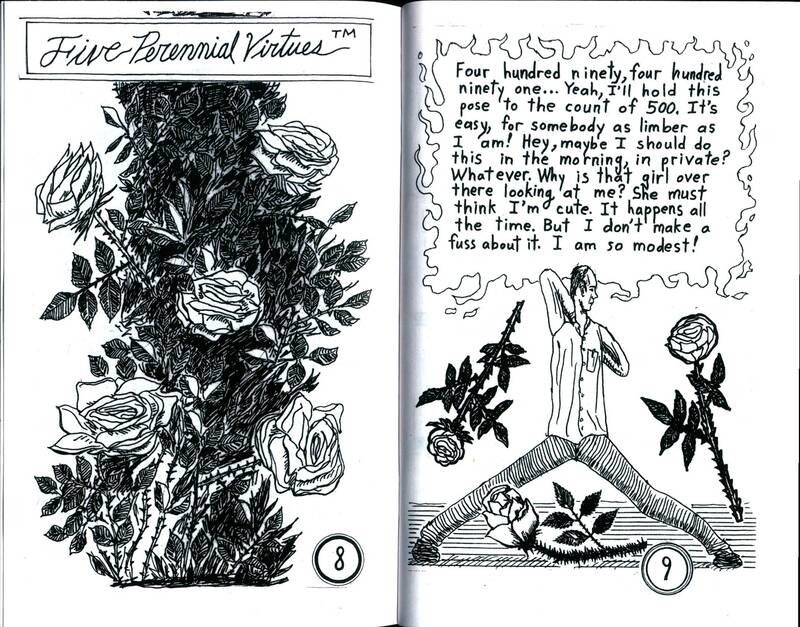 This comic confronts reality and imagery with a humane and open stance, while basking in its own eternal logic. Must be read to be fully appreciated. Get this incredible comic.